The word ‘Hanukkah’ means ‘dedication’. Even though the eight-day festival is known as festival of lights, it is actually associated with a difficult period in the history of Jews , after which they had to cleanse and rededicate their holy temple to God. I n 168 B.C. 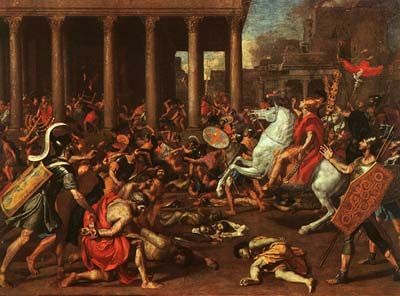 the Syrian Greek leader, Antiochus Epiphanes, a tyrant, conquered Israel and persecuted the Jews and forced them to convert into Hellenistic culture. He defiled their temple and offered the Jews two choices – convert or die. He established various idols of the Greek Gods in the temple and one of himself to be bowed before by the Jews. The oppressed Jews sought to fight an unequal battle with the huge Syrian army. The five sons of the Priest Mattathias led the fight and won the battle miraculously. The Jews routed the Syrians and preserved their religion. But then they had to clean the temple desecrated by the Syrians. After cleaning the temple they prepared to rededicate it to God by lighting the eternal lamp. Only one jar of clean olive oil was left and it would keep the lamp lighted only for a day. The new oil had to be produced with religious rituals. It took eight days for it. To their surprise, the lamp kept burning for eight days, till they could produce more oil. 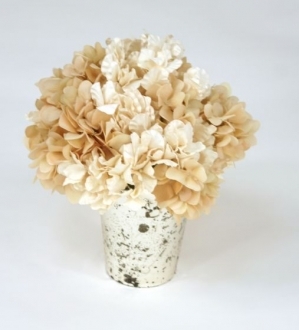 This time-period is commemorated by the eight-day festival that starts on the 25th day of the Jewish month of Kislev. 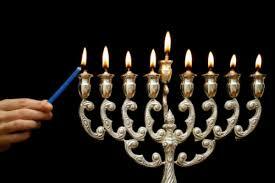 Lighting the menorah is obligatory during these eight days. The menorah is a group of eight candles set in a straight line at equal intervals. On the first day one candle is lighted and on the second day another one is added. Similarly, a candle is added every day till the eighth day. 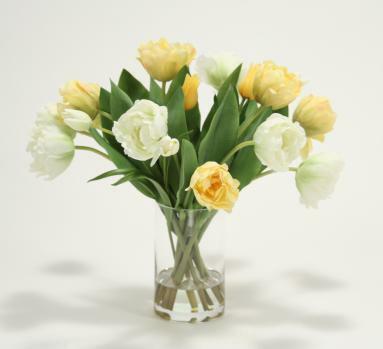 The new candle is added to the left of the rest and the new candle is lighted first. A ninth candle is also placed with them at a higher or lower level than the others. This is called ‘Shamash’ and it is used to light the rest of the candles. All the members of the family are expected to gather together to light the menorah. The menorah is kept burning at least for 30 minutes during week n ights and on Friday night it should burn for 1½ hours. On Friday night it is lit before sunset and on Saturday night it is lit after sunset. Fasting is strictly prohibited during Hanukkah. The food of Hanukkah festival is mainly prepared in oil. The potato pancake and deep fried doughnuts are the main items. Special prayers are to be recited on the Hanukkah days. Playing with a special kind of tops is another Hanukkah custom. This custom is introduced to commemorate those days when Jewish children were prohibited from reading their books. While reading their books if a Syrian happen to pass by, they took out the top called dreidel and played. Now the dreidel is inscribed with Hebrew letters that read ‘a great miracle happened there’. During the occasion alms giving is greatly encouraged and it is almost mandatory to give alms to the poor and the widows. It is termed as ‘tzedakah’. Children are also given gifts of money. All the Hanukkah customs are aimed at teaching the children about the great Jewish heritage and customs. Gifts are also exchanged during this season. Hanukkah usually falls in the month of December and so it is often referred to as Jewish Christmas, although it had nothing to do with Christmas. Hanukkah is not mentioned in the Bible. Hanukkah is celebrated by the Jews to reinstate their Jewish identity. It is a festival that symbolizes God’s love towards the downtrodden. The festival once again reminds the Jews about the valor of their ancestors who fought against religious oppression and their triumph over evil. 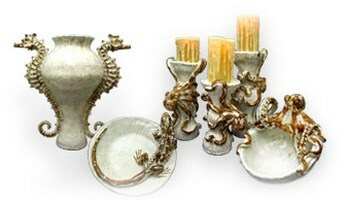 Hanukkah be ing the festival of light, a set of 8+1 candle stands from 1001 shops will be a suitable gift item. 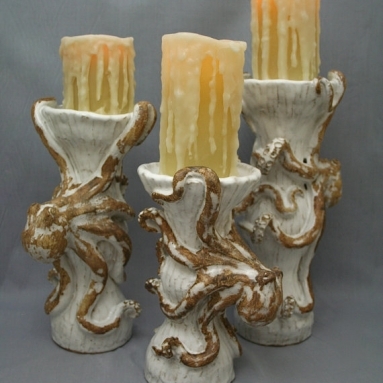 The white ceramic products with three dimensional octopuses painted in gold on them will look extremely unique, especially with the 8 tentacles of the octopus representing the 8 miraculous days in the story of Hanukkah. Limoges boxes are all time favorite gift items. They are the favorites because they are functional boxes. 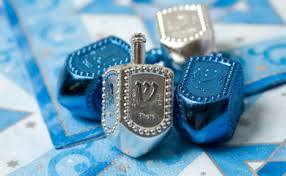 The dreidel is a special Hanukkah symbol. We have a number of them on our inventory. All the same the one with a Jerusalem scene depicted on it will be most appreciated. 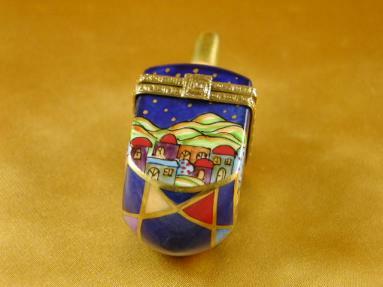 The round Limoges box with the menorah painted on it is another Hanukkah gift item which is sure to meet with the approval of your friends. Music boxes are actually useful jewelry boxes. 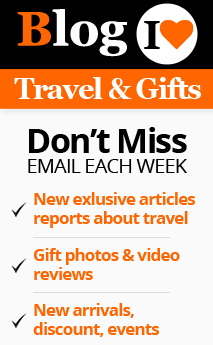 These are great gift articles. 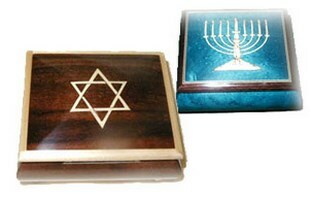 1001 shops do have a number of beautiful music boxes with Hanukkah symbols engraved or painted on them. You can select one of them according to your taste and requirement. 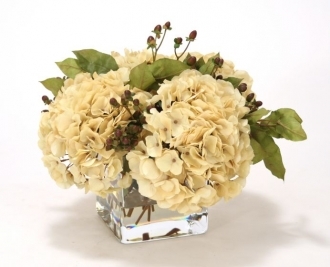 H: 18.00" W: 22.00" L: 18,00"